We can help you create innovative product concepts, demonstrators and prototypes using FlexEnable’s OLCD technology. 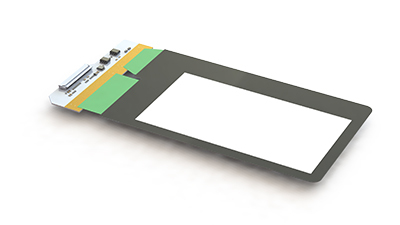 FlexEnable’s conformable organic LCD (OLCD) on plastic can be integrated into your design enabling you to create radically new product form factors. We will work with you to support you during your project. For strategic projects, we provide prototype OLCDs and driver electronics made in our prototyping line in Cambridge, UK. The OLCDs currently come in two standard sizes: 4.7” and 12.1”. 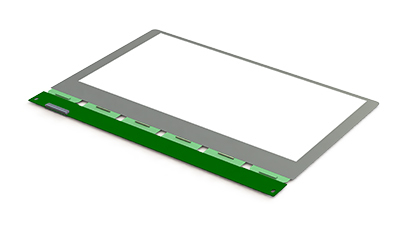 For applications where our standard displays are not a perfect fit for the application, we can make displays in custom sizes and shapes. We can also provide customisations of backlights and driver electronics as appropriate. In parallel, we work with you to plan the volume production solution calling on FlexEnable’s manufacturing partners. Please contact us at info@flexenable.com to discuss your requirements.